IT IS always tempting for supporters of one political party to revel in the misfortunes of another. These past weeks I’ve had no shortage of opportunities, from the divisions in the Tories over Brexit to the open warfare within the Labour Party over anti-Semitism. It is, however, a temptation to be resisted. In both cases, the issues at stake are far more important than the opportunities to score points. Neither do I consider the Liberal Democrats to be in a position to say: “I told you so”. 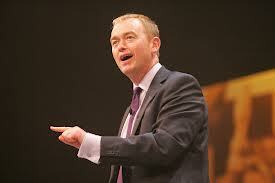 But I do want to ensure that the Liberal Democrats are part of the solution, not part of the problem. I am a passionate believer in a two-state solution. There is simply no possibility of a just and sustainable peace within the region without satisfying the aspirations of both Israelis and Palestinians for nationhood, and there is no credible model for that which does not require two states within safe and secure borders. So Israeli and Palestinian politicians who refuse to work towards this goal are rightly deserving of our criticism. And yet the instinctive desire of political progressives to stand up for the underdog seems increasingly to blind many to this simple fact. What’s more, rather than work for a solution, we are seeing the development of a cult of victimhood: a childish and destructive desire to establish that the only injustice, the only suffering, has been by whichever side one has chosen to support. As the stalemate in the conflict has become ever more deeply embedded, so this process has, for some people, moved from supporting the suffering of Palestinians to a systematic denial of the suffering and rights of Israelis and Jews. At the extreme end, this leads straight to Holocaust denial, but for many on the left, the equating of Zionism with Nazism serves the same job: the victims become – or indeed in the case of Ken Livingstone’s appalling comments – always were, the oppressors. This is not legitimate criticism of Israeli government policies — this is straightforward anti-Semitism, guilt by association, based on a perversion of history that we must resist at all costs. Much as I might like it to be otherwise, this analysis of victimhood is not a problem confined to the Labour Party. It is a challenge for all political parties, including my own. But if I dare offer a little advice to my fellow party leader, change needs to be led from the top. This is not a case of a few bad apples: it should be abundantly clear by now that Livingstone is not the cause of the problem, but a symptom and it will require institutional reform to turn the situation around. Meantime, however, the solution must not be for Jews to join or support the Conservatives. As an outsider, it seems to me that the Jewish community is by instinct progressive. Insofar as one can generalise, there is no doubting the commitment to education or enterprise, health care or internationalism. These are progressive values – dare I say it, liberal values. The challenges we face as a country today need progressive solutions and Jews need to be able to contribute to finding them. I hope for the sake of the country as well as the Jewish community that the Labour Party will find a way to become once again an effective opposition to the Conservatives – goodness knows this country needs one. In the meantime, however, I give this pledge: under my leadership, the Liberal Democrats will seek to be part of the solution not part of the problem. That means zero-tolerance of anti-Semitism in-the UK and passionate advocacy of a just and sustainable peace for Israelis and	Palestinians in the Middle East. And it means conducting our dialogue about how this might be achieved in a language and a manner that builds bridges and trust between communities, not setting one against the other or assigning blame. I hope it is not too late for progressives from whichever party to redirect their efforts to these ends.